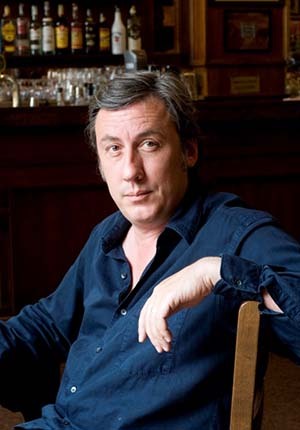 Born in London in 1960, Andrew Graham-Dixon is one of the leading art critics and presenters of arts television in the English-speaking world. He has presented many landmark series on art for the BBC, including the acclaimed A History of British Art, Renaissance, Art of Eternity, The Secret of Drawing, The Art of Spain, followed by The Art of Russia, The Art of Germany, The Art of America, The Art of China, The Art of Gothic, The Art of Scandinavia and The Art of France as well as numerous individual documentaries on art and artists. For more than twenty years he has published a weekly column on art, first in the Independent and, more recently, in the Sunday Telegraph. He co-presented with Giorgio Locatelli one series of Sicily Unpacked and 3 series of Italy Unpacked where they explore the culture and cuisine of Italy together. A two part series Rome Unpacked was broadcast in 2017. Stealing Van Gogh was broadcast in 2017 and Andrew’s most recent series The Story of the Royal Collection was broadcast earlier this year. He has a long history of public service in the field of the visual arts, having judged the Turner Prize, the BP National Portrait Prize and the Annual British Animation Awards, among many other prizes. He has served on the Government Art Collection Committee, the Hayward Advisory Committee, and is currently a member of the board of the Baltic Centre for Contemporary Art in Gateshead. In the course of his career, Andrew has won numerous awards for writing and broadcasting and his achievements have been acclaimed by many of his most distinguished peers. According to Robert Hughes, former art critic of Time magazine and writer of 'The Shock of the New': “Andrew Graham-Dixon is the most gifted art critic of his generation. Unsparing, witty and probing, with a supple style, a real passion for the concrete body of art and a clear sense of its social environment, he encourages you to think and feel”.